Insurance provider Lemonade is a three-year-old startup that recently received $US120 million in a funding round led by Japanese telecom giant Softbank. 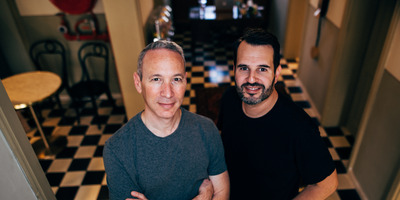 Instead of reaching out to insurance experts to gain a better understanding of the industry, the co-founders resisted what Schreiber describes as a “temptation” to access insider knowledge and opted for an alternate route: “We milked our ignorance for all its worth,” said Schreiber. Last week, Schreiber sat down for an interview with Business Insider in the freshly minted SoHo headquarters of the project he set out to create just three years ago. The result of Schreiber and Wininger’s thought experiment is a company called Lemonade, a blossoming insurance provider that’s everything the established insurance industry isn’t. For one, the startup’s central product, a cheery white-and fuchsia-hued mobile app, is surprisingly straightforward. 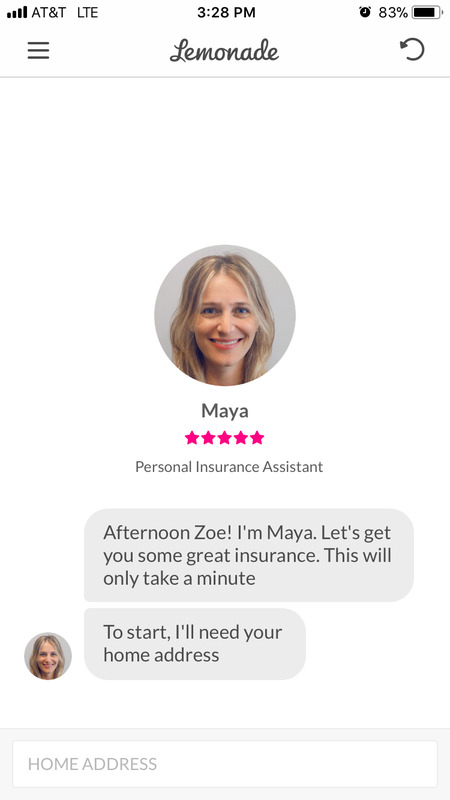 Users receive bespoke rates for renter and homeowner’s insurance in an exchange with Lemonade’s spunky chatbot, Maya. The entire process takes under two minutes. And it’s not just straightforward, it’s affordable. When I take the app for a spin, I’m surprised by my quoted rate. For a home-rental insurance policy that covers everything from fires to vandalism to water damages, Lemonade quotes a rate of less than $US8 a month. It’s $US6 less than the $US14 from Liberty Mutual and nearly half of the $US16 that Geico quotes me. Aside from its competitive rates, everything about Lemonade’s approach to insurance is distinctly counter-intuitive from what many people envision when they hear the word “insurance.” There’s nothing staid or stuffy about it, and the company is refreshingly upfront about their business model, which is presented in an upbeat cartoon that’s available on YouTube. Despite the obvious challenges ahead, Schreiber says undercutting the behemoth insurance industry presented an intriguing proposition to both Wininger and himself. According to Schreiber, there’s plenty of problems with the way the insurance industry currently makes money. Lemonade has co-opted a clever approach to discouraging the filing of fraudulent claims as well. When users sign up for a policy, they’re asked to select a charity of their choice. A percentage of any money leftover from unfiled claims will go towards the charity, which Lemonade hopes will deter any dishonest filings. The company estimates that 10% of its yearly revenue is awarded to its charitable giving program. With 75% of its users under the age of 35, Lemonade’s attractive position as an insurance company that appeals to the country’s up-and-coming city dwellers has attracted big name investors as well. In its most recent funding round, the company scored $US120 million in a round led by Japanese telecom mogul Softbank. Schreiber says the funding will go into expanding both the company’s platform and geographic reach, and hints at plans for other types of insurance that are in the works.